iLok License Manager is a special software that helps users store the licenses of their programs in a convenient manner in one place. The application has been used by software developers in protecting their products from simultaneous use on various computers. If you want to shift to a different yet similar application or not using iLok anymore, you should learn how to uninstall iLok License Manager on Mac. Depending on the method that you will use, you should carefully follow all the steps to ensure safe and complete removal of the application. The iLok License Manager is a third-party application that provides additional functionality to Mac users. Nevertheless, once you no longer need the application, the removal process is more than the simple drag-and-drop to the Trash approach. It is important to note that once the application is installed, the iLok License Manager creates files in different locations. Generally, these are additional files such as application support files and preference files that are left on the hard drive even after you uninstall iLok License Manager from the Application folder. The settings of the application are preserved in case you decide to reinstall it. In case you decide to uninstall iLok License Manager for good and free up disk space, getting rid of all its components is recommended. If you do not want to go through the manual process to uninstall iLok License Manager, you need to install PowerMyMac. 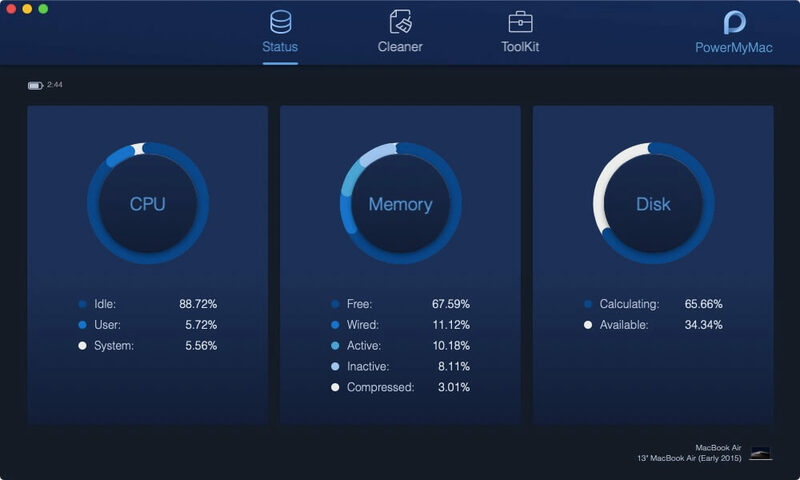 With this powerful, comprehensive application, you can use it to remove applications effortlessly to free up space, optimization for your device as well as protect your privacy. The application provides Mac users with all the important tools to keep your Mac highly functional. Since you want to uninstall iLok License Manager on Mac, you can use the Uninstaller which is found in the ToolKit module. 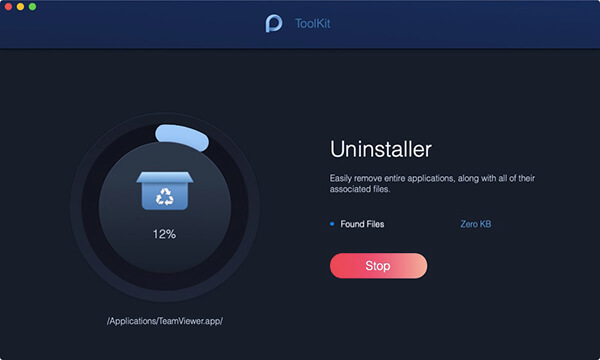 With the Uninstaller, you can easily remove the entire application along with its associated files. Upon opening PowerMyMac, you will see the main interface which features the system status of your Mac. Proceed to the ToolKit module by pressing on the ToolKit sign. On the ToolKit interface, click on Uninstaller. In the Uninstaller interface, start a scan by clicking on the “Scan” knob. You will be presented with the storage space of your installed apps on the device in the “Found Files” element. Scroll through the list of applications to find iLok License Manager. You can also key in the name of the app on the search bar. Click on iLok License Manager to expand the files and folder under it on the right screen. Since you want to completely uninstall iLok License Manager from your Mac, directly click on the “Select All” option. Double check to ensure that all the files you want to delete are selected. Click on the “Clean” knob at the bottom right side of the interface to remove the application. Click on “Confirm” to permanently uninstall the application and wait for the process to finish. Once you install iLok License Manager on your device, you might have noted the “Uninstall License Support” in the .pkg file. You can use this to uninstall the application. Step 1: Open the “Uninstall License Support file”. Make sure that you have administrator access to the device to continue. Key in your password and click OK. Step 2: In a short while, a message will appear that the License Support software has been successfully uninstalled from your device. If you want to check if there are any associated files left on your Mac, you might need a different application to find any hidden files. If you opt for the manual approach to uninstall iLok License Manager on your Mac, you should follow these steps. Step 1. Go to the Applications folder on your Mac > look for the iLok app > right click and select “Move to Trash” option. Step 2. Go to the system Library folder > find and remove all the files and folders associated with iLok License Manager in the same manner as above. Remember that some files are hidden in the deep directories. It is recommended to use a different application to eliminate all associated files. Even though you have deleted iLok License Manager to the Trash, any of its leftover logs, files, caches, and other miscellaneous contents might remain on the hard disk. The best way to ensure complete removal of iLok License Manager on your device, you can manually find and remove all associated components with Finder. Step 1. Search for relevant names using Spotlight. The preference files of iLok License Manager can be found in the Preferences folder inside the user’s library folder (~/Library/Preferences) or the system-wide Library found at the root of the system volume (/Library/Preferences/). As for the support files, they are in (~/Library/Application Support/) or (/Library/Application Support). Step 2. With the Finder, go to the Menu Bar. Click on the “Go” menu and choose the “Go to Folder” option and enter the path of the Application Support folder (~/Library). Step 4. Right click on those items and click “Move to Trash” to delete them. Take note that there might be some hidden files or kernel extensions that are hard to find. In such cases, you should conduct a search on the components for iLok License Manager. In most cases, the kernel extensions are found in (/System/Library/Extensions) and ends with the extension (.kext). The hidden files are usually located in the home folder. Furthermore, you can utilize Terminal (inside Applications/Utilities) to list the contents of the target directory and delete them. With the help of PowerMyMac, you can quickly and easily uninstall iLok License Manager on your device. Simply install the app and carefully follow the steps. With just a few clicks on your mouse, your device is free from iLok License Manager along with its associated files and components.